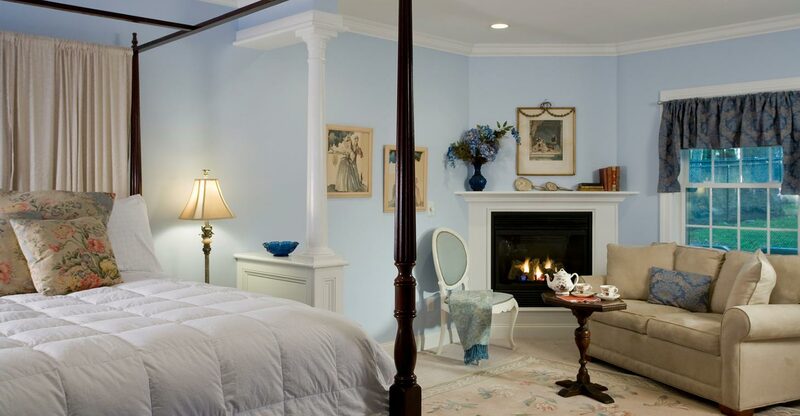 All our spacious King Suites provide room to relax. In addition to huge four-poster king bed, the living space has an overstuffed couch that converts to a second bed. Friends find it easy to socialize. Grab snacks from the refrigerator. Mix a favorite drink at the wet bar. 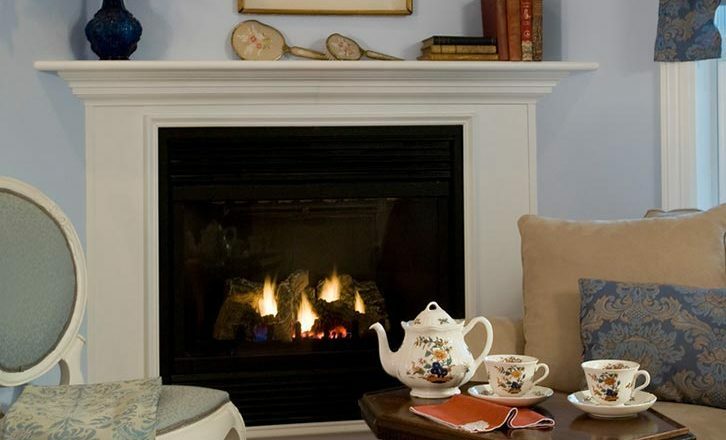 Cozy up to the gas fireplace. Enjoy! Relax on your private sitting porch overlooking the heated pool. The Widescreen HD television featuring hundreds of Time Warner channels provides another entertainment option. 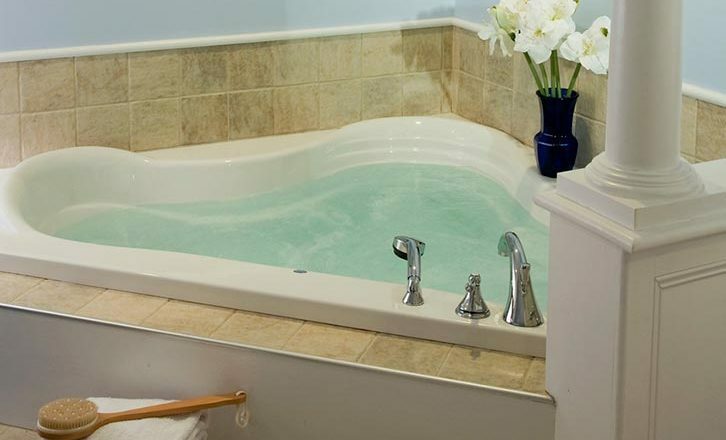 Relax in a large and deep 2-person corner Jacuzzi by the fireplace in the living room and feel all the stress leave your body. This room also features a beautiful golden hand-ragged bathroom with pedestal sink and tub/shower combination. Marion Slocomb (Winborn) 1911-1979. We dedicate this room to Susan’s maternal grandmother Marion Slocomb. Marion was a fiesty, Southern redhead, married to Magruder Winborn. They ran a lumber and hamper mill in Lumberton, Alabama. Later, they moved to Poplarville, Mississippi, where Susan, her mother and siblings lived with their grandmother while her father was stationed in Korea with the Army. The Slocombs lived for a century in the South, but when Susan and I moved to Massachusetts in 1999, we were returning to her roots. The Slocombs had a home in Sutton, Massachusetts in 1640, just twenty years after the Mayflower. And in 1691, John Winborn married Elizabeth Hart of Salem, who ultimately, at age 70, became one of the most famous of the accused “Salem witches” and spent seven months in prison. Winborn’s ancestors were Montegues who came to Virginia in 1635.